You might be an angel, but you're far from a saint. 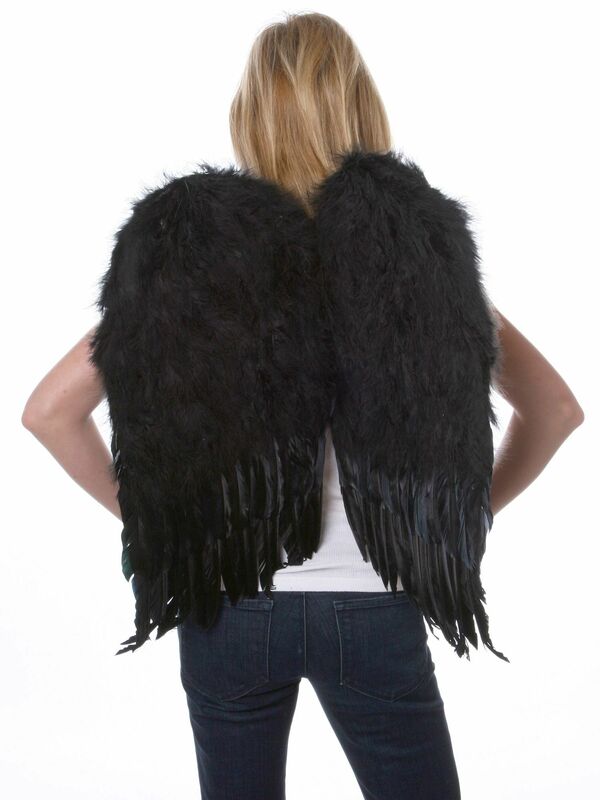 Wear these Black Feather Up Wings for Adults and you'll show everyone your devious side! Each large pair is made of down and flight feathers, all of them jet black. Perfect for raven, dark angel, gothic, and Pegasus costumes.